After we know what the client wants and needs thanks to the previous steps it’s, time to set up a road map of how the website will be structured. This is done by creating a sitemap and a content architecture plan. 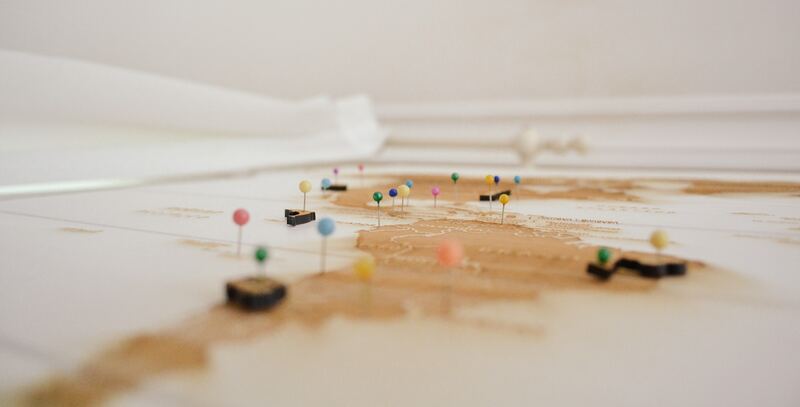 A sitemap can take many forms – from a simple written list of links, to a complex diagram with content relations, link depth and content density. The type, size and form of a sitemap greatly depends on the size of the projects, with bigger websites needing more complex maps to properly plan their structure. While sitemaps might seem inconsequential for smaller projects, it’s important to realize that the their structure will determine the types of templates that need to be designed and built. Content architecture might be an unfamiliar term to many people, as it’s something that’s very often part of the UX design or even the graphic design. Now, regardless of when the phase takes place in the process, its basic function is to determine not only what the content will be and how is going to be presented on the front end, but also how the back-end will be structured for development and in turn for said content population and maintenance. To put it in simple terms it’s the type and number of different page templates and their structure. While many people only consider the front-end of a website, it’s crucial to think about the back-end of the CMS as well. A poorly structured back-end means inefficient content editing, problems with publishing and technical issues for the client and the support team. More on the subject will be included in the Content Modelling part of the production phase. Now I imagine that some people on the production side of things might raise their eyebrows at this point, thinking why do it now and not leave if for the development phase and not waste time? The answer to this is quite simple – synergy between the design, marketing and development teams, especially in an AGILE environment. By laying out the content architecture everyone is at the same page when moving forward. With the sitemap and content architecture plan in place it’s the end of the pre-production phase and we’re moving into production.